The Trauma HAL S3040.100 is a rugged and resilient human trauma patient simulator manikin for teaching care on the battlefield. HAL’s toughness and durability has been proven by independent testing in hot and cold conditions; wet and dry environments; in both fixed winged aircraft and military helicopters. HAL® is splash proof; fits in a NATO litter; and can be covered with a blanket without overheating. 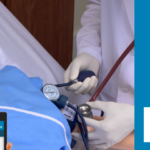 Rush HAL® from the accident scene to the ER, to the ICU, while care providers diagnose and treat his condition using real monitoring and resuscitation equipment. Control HAL® at distances up to 300 meters and between rooms and floors of conventional buildings. HAL® smoothly transitions between physiologic states in response to commands from a wireless PC. Decontamination Capable: Fully functional during soap and water decon spray procedure. Liquid Secretion: Independent liquid secretion from ears, eyes, and mouth. Heart and Lung Sounds: Multiple realistic heart sounds and anterior lung sounds. Oxygen Saturation: Oxygen saturation can be measured using real equipment. Cyanosis: Cyanosis and vital signs respond to physiologic condition, and interventions. Programmable Airway: Programmable airway: tongue edema, laryngospasm, and pharyngeal swelling. CPR Sensors: Sensors detect and log ventilations and compressions. Includes eCPR with UNI® software. eCPR™ Monitoring: Monitor and assess CPR performance in real-time, simulate perfusion dependent on efectiveness, and export performance reports for debriefing. Needle Decompression: HAL® features palpable ribs to locate 2nd intercostal space for bilateral needle decompression. Sensors detect and log needle insertion and log action. Trauma Arm and Leg: Arteries bleed as a function of BP + HR specified on wireless tablet PC. Bleeding ceases when tourniquet is applied 2” above wound or between 1” or 2” above the joint; an action is also logged. Surgical Cricoid: Perform lateral and medial incisions, then use “Trach-hook” used by Combat Medics to lift cricoid for airway assessment and insertion of “trach-tube”. FAST-1 Sternal I/O: Use FAST-1 Locator and position it below the sternal notch; sites are replaceable and either accept medications or can be used to collect fluids. Tetherless: HAL’s communications, compressor, and power supply are inside the simulator, eliminating external tubes, wires and compressors. Control the simulation from up to 900 ft. away. Tested: Trauma HAL® is based upon the proven technology found in the HAL® 3000 which was independently tested and approved. MIL-STD tests included vibration, EMI testing for avionics, high and low temperatures, humidity, rapid decompression at 45000 feet, explosive atmospheres, and flight testing in fixed and rotary winged craft. Realistic: Streaming voice and prerecorded verbal responses in any language. Difficult airway with tongue edema and pharyngeal swelling. Chest rise and fall responding to commands from wireless tablet PC. Palpable ribs. Height 178cm/70in. Radial, brachial, carotid and femoral pulses operate continuously and are dependent upon blood pressure, etc. Interested in Gaumard Trauma HAL? 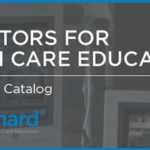 The Gaumard 2017 Product Catalogue is now available!